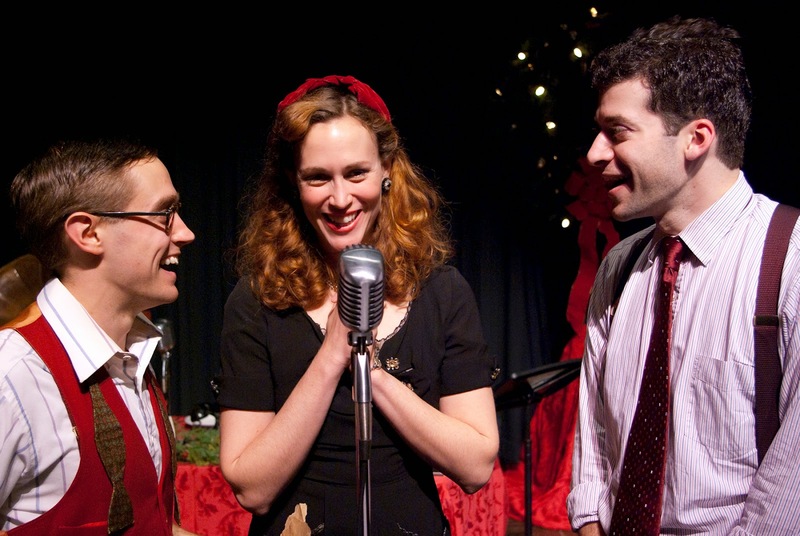 Immediate Theatre Project’s annual production of Live From WVL Radio: It’s A Wonderful Life is back for one night only at the Isis Restaurant and Music Hall in West Asheville. This special performance is December 1st at 8:00. Immediate Theatre Project’s unique re-imagining of the classic movie It's A Wonderful Life takes place on a snowy night at the studios of WVL Radio. There, a rag-tag group of station employees faced with a crisis band together to bring the story of George Bailey and Bedford Falls to vivid life. “It's only by living out George Bailey's story of redemption, that they can hope to find their own,” explains local actor, director, and playwright Willie Repoley, who adapted the classic screenplay. The performance features old-time radio sound effects, organ accompaniment, and versatile voice acting. The sound effects are created live on stage by the actors, and the music was composed and performed by local musician Nathan Shirley. Since 2009, this production has toured the United States from Milwaukee to Miami to Schenectady, but the busy touring schedule has generally meant sacrificing a long run in Asheville. This year, there was no home-show planned at all until the group worked with the Isis to find a date that would work, to follow up on the success of their planned one-night engagement there in 2013. “We actually had to add a second show at Isis last year,” says Repoley. “We had planned on just the one, but there was more demand, so that was great.” This year's tighter tour schedule means the one-night engagement will be just that: one night only. Tickets will be $15 in advance or $20 at the door. Seating is general admission, and there are a limited number of tables available with dinner reservations. There is also theater-style & balcony seating (stools), and standing available on a first come first serve basis. Doors will open at 5pm and the performance begins at 8:00pm on December 1st only.